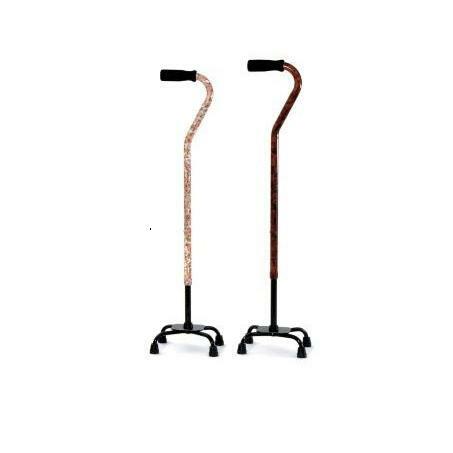 Quad canes have four feet which allows the cane to have a greater degree of weight bearing stability than single shaft canes. 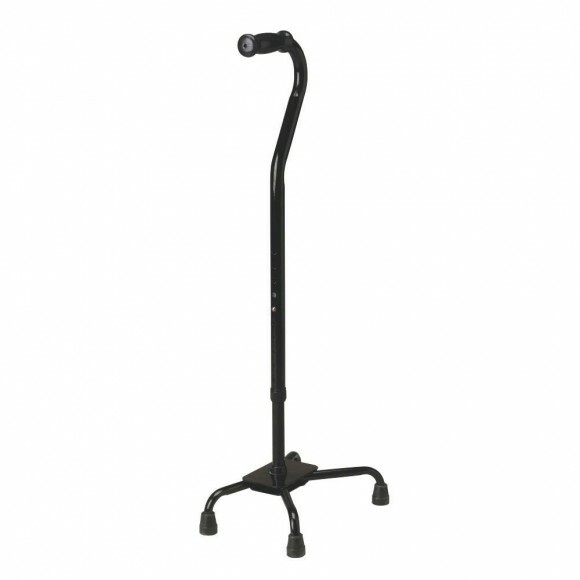 A quad cane can stand up on its own, which is a convenient feature when sitting in a restaurant or waiting room. 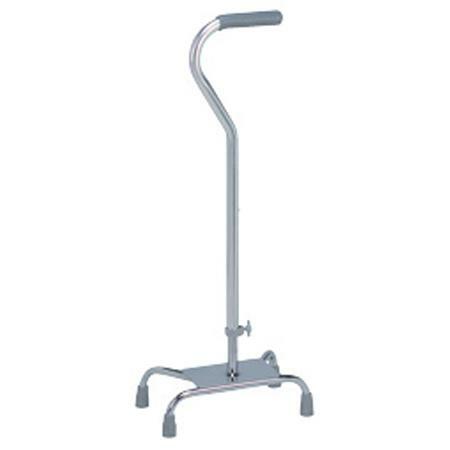 There are small base quad canes and wide base quad canes. The wider the base the greater the stability of the quad cane. The small base design allows for a faster pace; large base design gives more stability at a slower pace. 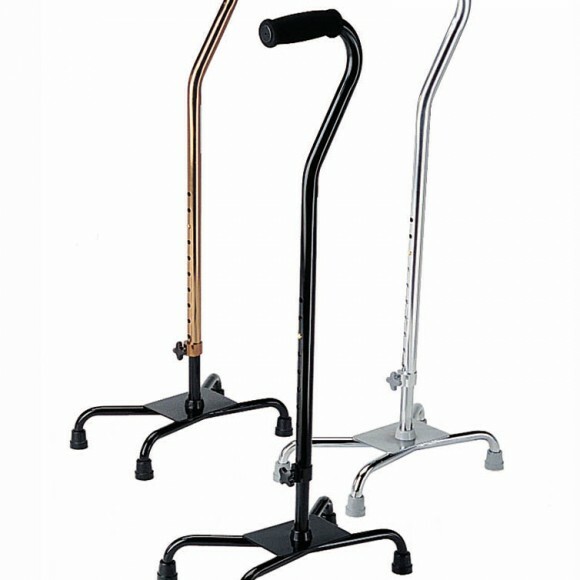 All quad canes have a push button adjustment mechanism with a locking ring that allows for a quick secure fitting. 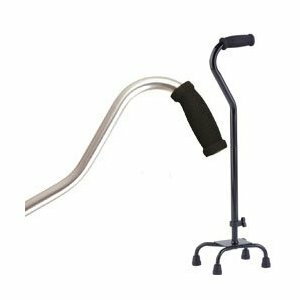 Quad canes come equipped with contoured hand grips made of foam or vinyl. Non-skid rubber tips on all four feet ensure a secure grip to the ground as one ambulates. The non-skid rubber tips are easily replaced when worn. 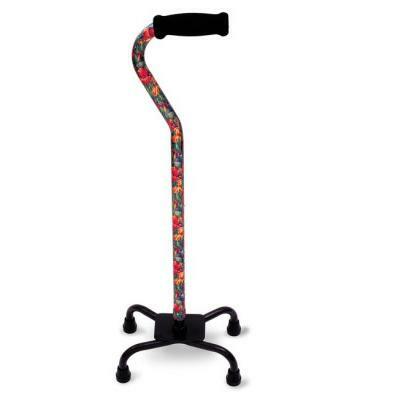 Review all of our quad canes to find the one that is most suitable for your needs.